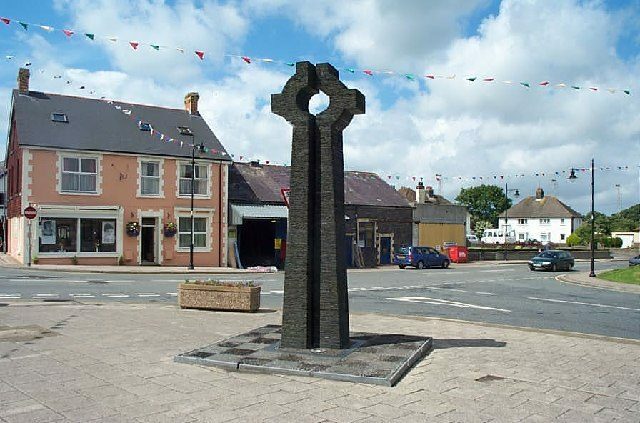 Just a short distance from us is Caerphilly town centre. 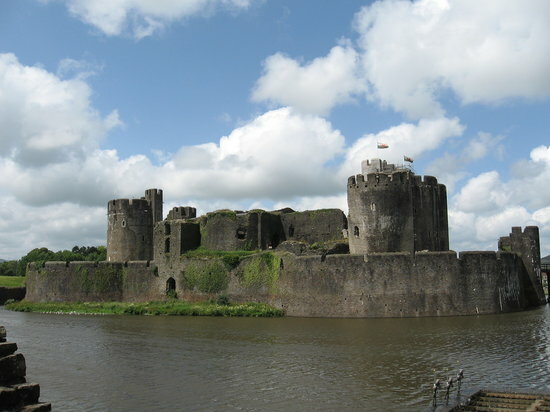 Its impressive castle surrounded by a moat towers over the shops and cafes and is well worth exploring before hitting the open road on your adventure. 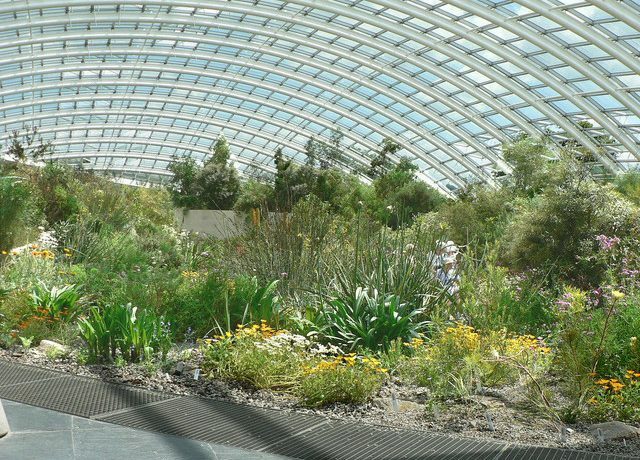 Over halfway to your first destination the National Botanic Garden of Wales provide the perfect location to start the relaxation early on in your adventure (Llanarthne, Carmarthenshire). The small seaside village of Saundersfoot is the perfect introduction to the spectacular Pembrokeshire coastline. 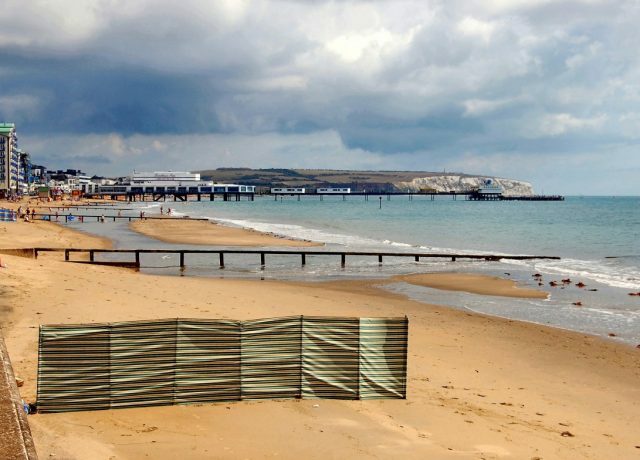 The village’s wide sandy beach has Blue Flag status and the small harbour provides the perfect setting to enjoy a stroll, a bag of fish and chips or an ice cream. The amusement arcades add to the traditional seaside resort vibe. Saundersfoot also provides the perfect base from which to explore attractions slightly further afield, such as the popular Folly Farm. 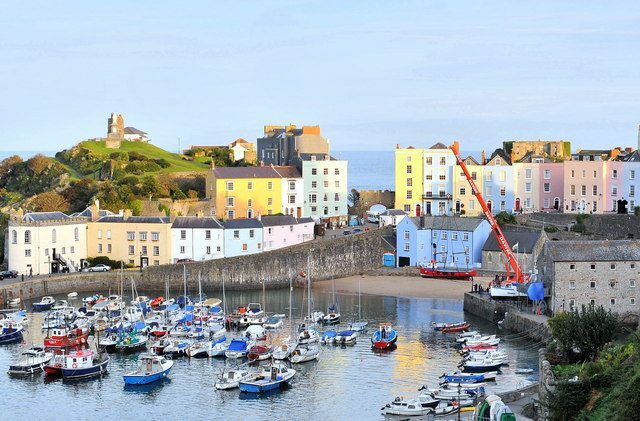 Tenby is one of the most popular tourist destinations in Wales. The walled seaside town has two large sandy beaches and a small harbour. There is a wide selection of unique shops, restaurants and pubs to explore including Fecci’s Ice Cream Parlour. Regular boat trips are run from Tenby to Caldey Island during the summer months. The island is home to monks, seals and other birds and wildlife. 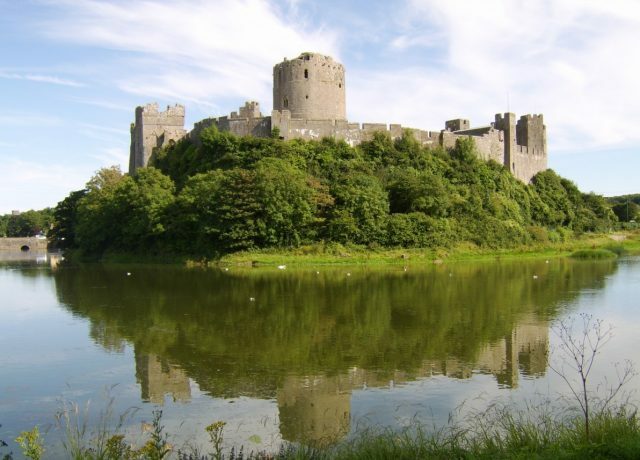 Birthplace of Henry VII, the first Tudor Monarch, Pembroke Castle is a fascinating place to explore. Set on the banks of the river estuary, the fortress hosts a number of exhibitions, events and concerts throughout the year. Outside the ramparts there are plenty or shops, pubs and restaurants to keep you occupied. If a visit to the castle has fired you up for battle then the challenging 18-hole South Pembrokeshire Golf Club is a short drive away. 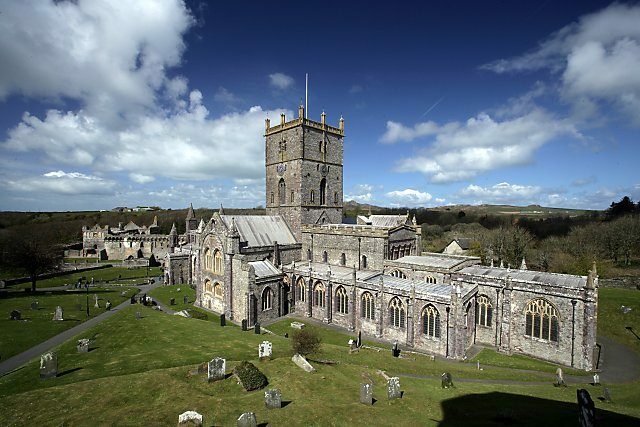 The smallest city in the UK – St Davids is dominated by its cathedral. The impressive building is built on the site where the patron saint of Wales – St David founded a monastery more than 14 centuries ago. His shrine is located in the cathedral. Outside there are plenty of independent unique shops, pubs and cafes within the city to keep you occupied. 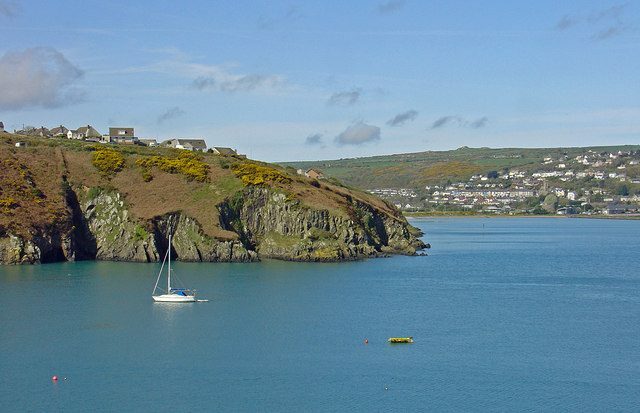 A pretty little bay, Fishguard is steeped in both history and beauty for you to explore. See the tapestry made by locals, which depicts how the community thwarted the last invasion on British soil nearby in 1797 or explore the beautiful local coastline with a canoeing tour courtesy of Kayak-King. The Welsh Wildlife Centre overlooking Fishguard is also well worth a visit and provides fun and learning for all the family. The picturesque market town of Narbeth is the perfect place to pick up gifts for loved ones. The High Street is lined with a wide range of unique shops selling everything from fine art to antiques and fine food. There are also plenty of award-winning cafes, pubs and restaurants to choose from when you need to recharge your batteries. If you’re looking for something more adventurous the Blue Lagoon adventure swimming pool is nearby as well as the theme park – Oakwood. The campsite in Pembrokeshire was truly stunning. The vibe there is very laid-back and the boat trip around Ramsey Island, was breath-taking. Several seals were spotted! Thanks again for a great service from Pronto Motorhomes. I will certainly recommend your company to others. As we have a 10 year old we tried to go for those that had plenty to do so visited a number of the Haven sites along the coast (Tenby, Porthmadog & Pwlleli).